1. 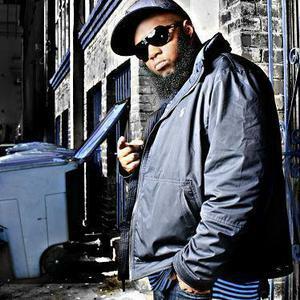 Leslie Edward Pridgen (born March 24, 1977), better known by his stage name Freeway, is an American rapper. Freeway a.k.a. Philly Freeway began rapping while in high school. He later met fellow rapper Beanie Sigel, who would be signed to Roc-A-Fella and later help Freeway get a contract with the record label. Freeway became one of the label's most visible artists after making his first appearance on The Dynasty: Roc La Familia and appearing on several other Roc releases before putting out his solo album, Philadelphia Freeway. The album was produced primarily by Roc-A-Fella-affiliated artists--Just Blaze, Bink!, Kanye West--and featured mostly Roc-A-Fella rappers as well, many of them from State Property: a Philadelphia-based bunch of Roc members that Freeway and Beanie Sigel had compiled into a group. The album's biggest hit was What We Do, produced by Just Blaze and featuring Jay-Z & Beanie Sigel.